Work Rules! is unique in many ways. 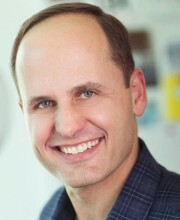 The author, Laszlo Bock, is the senior vice president of People Operations at one of the most innovative and successful companies in the modern world, Google. Bock is genuinely transparent about the company’s success in an extremely competitive market and shares intricate details of Google’s management policies, both pros and cons. The book is a stimulating and exciting read that would be beneficial to any employee or CEO. It is enlightening to learn that Bock has no issue in sharing many of Google’s success policies with the expectation that other workplaces can initiate changes for the better and constantly strive for excellence. Bock’s posits that there are two types of company organization models that one can work for: firstly the “low freedom” type, or command and control, where employees are micromanaged and worked intensely without consideration, versus the alternative, “freedom driven” company where employees are given voice in how the company evolves and are treated with respect and kindness. Google, obviously, is highly “freedom driven”. "What most organizations miss is that people in the bottom tail represent the biggest opportunity to improve performance in your company, and the top tail will teach you exactly how to realize this opportunity." Despite a recruiting process that is exhaustive and comprehensive within Google, there is always a bell curve related to performance. Identifying the lower end of performance has historically been identified with dismissal. There is a considerable cost to this process, for instance, in Google this could potentially mean sacking 20% of employees per annum (equating to the lowest 5% per quarter). Instead Google decided on a novel approach. Everyone tends to focus on the top performer. However, the bottom needs just as much attention and more success can be achieved by increasing the skills of the below average. The bottom 5% of employees are identified, and rather than taking a possible termination decision, management firstly informs the employee where they stand in performance and then offers coaching around growth and improvement. Importantly, this discussion occurs outside of any performance reviews, and is centered on a growth and improvement strategy. Google offers a range of training and coaching to enhance their skills, which typically results in a person’s performance increasing to near average levels. Bock acknowledges that this may not sound like much, but if an employee was in the worst five performers before the interaction and then increased to be better that 45 employees after, this procedure would obviously elevate performance to be greater than your competitors. However, some employees tend to leave and some have to be fired, but the Google approach is direct and sensitive to employees’ situations, being totally transparent and allowing discussion around improvements. Based on this concept it is pretty hard to be fired by Google. The company invests in its people to succeed or a poor fit will find meaningful work in another company earlier than might otherwise be expected. "The fundamental lesson from Google's experience is that you must first choose whether to be a founder or an employee. It’s not a question of literal ownership. It's a question of attitude." Larry Page and Sergey Brin, Google’s founders, brought with them not only technical brilliance but a belief in the value of education and freedom of choice within the context of education. They had both been education in the Montessori system. Many of the most meaningful and desired people practices were developed early in the history of Google. All employee meetings are still exactly that despite the huge number of employees, and hiring decisions are made by groups rather the individuals. Ownership in stock is offered to all employees. Google is a dog friendly organisation. Many other unusual benefits include: free meals, access to doctors and washing machines. Talented people are attracted to Google because they are focused on achieving an environment where people are rewarded, and because it’s a place where autonomy is regularly provided. The attitude of ensuring people within the company believe that they creating something of high value and are contributing to the world, within the context of a founder environment, has ensured that Google remains at the forefront of company initiative and creates more and more founders. This is a simple solution that can be implemented into any company. One must trust and believe in their employees and have the confidence to allow them to flourish in a founder environment. Data does not lie; studies illustrate comprehensively that companies that empower their employees by taking away decision making authority from managers and giving it to individuals and teams saw markedly improved results across a study of 308 companies. As Bock reminds us, “Treat people like owners instead of machines; machines do their jobs, owners do whatever is needed to make the company and teams successful”. "You have to send out check lists at the right time, make it meaningful, and make it easy to act on." Atul Gawande, a surgeon, developed a simple checklist system in hospitals, dramatically reducing complication rates. This simple idea has also been applied to other industries such as aviation. Google has implemented this concept within the context of nudging. Nudging their employees in order to remind them of procedures and follow ups, but also outside of normal management, such as security, and health and fitness, for instance. This includes check lists, quirky notices in passageways, SMS messages, changing food wrappers, the proximity to healthy foods in canteens, etc. Bock’s discussion around nudges is enlightening; the implementation is simple and easy to achieve once the concept is grasped. Ask questions, lots of questions! Schedule regular 1:1’s (one on ones) with your manager. Actively solicit feedback – don’t wait for it. Accept the challenge. Take risks and don’t be afraid to fail. Other Googlers will support you. Two weeks later the Nooglers received a follow-up email reminding them of the five actions. Of course, with Google, there are equivalent checklists issued to the managers. The majority of us are not truly great at being proactive. Focusing on a simple nudge at both ends of the employment orientation process has resulted in considerable improvement, particularly with employees that scored low in proactivity, but also in reducing stress on management. Google’s concept is to not trust your gut in human relationships, which results in average management systems. In order become better, we need to pay more attention and nudge in the right direction. Experiment, experiment more and continually measure results. Work Rules! gives the reader an intuitive insight into Google’s success. There are probably 25 The Big Ideas I could have included. If you employ people, read this book. You will be astounded at the simplicity behind the concepts.